Hampton’s perfect MEAC record is no more, but its shot at a title isn’t fully gone up in flames yet. Fortune finally turned the table on Hampton football on Saturday. After back-to-back close call wins over Norfolk State and FAMU, visiting Bethune-Cookman handed HIU a 24-21 loss. Hampton’s loss puts it in a three-way tie for second place with North Carolina Central and Howard. That means that if North Carolina A&T can sweep its last three games it will be the lone MEAC champion and take the conference’s bid to the Celebration Bowl. 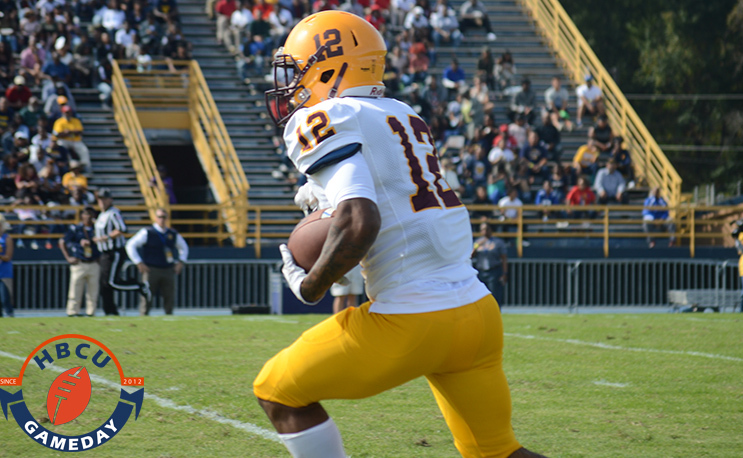 Akevious Williams found Jawill Davis for a seven-yard touchdown strike with 3:10 remaining as BCU rebounded from a tough loss to A&T the previous week. Hampton had a chance to answer, but it’s potential game-tying field goal went wide left. BCU (4-4, 3-2) outgained Hampton 367 to 272 yards of total offense on the day, and held the Pirates to just 71 yards on the ground. The teams combined for 23 penalties for over 200 yards lost. Things don’t get any easier for Hampton next week as defending MEAC champion North Carolina Central comes to town in a game that will basically eliminate the loser from conference title competition with a second conference loss. Hampton hasn’t beaten a North Carolina MEAC team since 2013 when it swept A&T and NCCU.